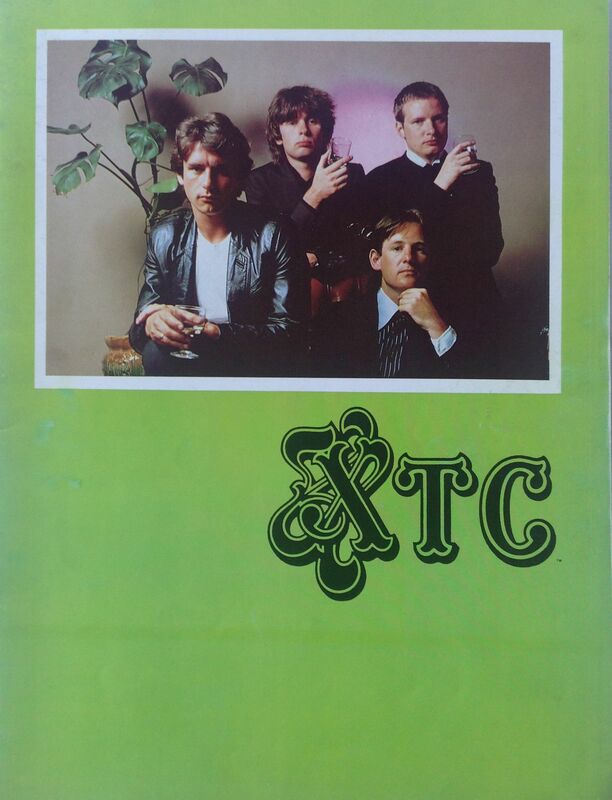 I saw XTC a few times at Newcastle University during 1978 and 1979. They played the University students union on 4th February 1978, 4th November 1978 and 27th April 1979. I think I was at least two of those gigs, but can’t recall exactly which ones. This was the early version of the band with a line-up of Andy Partridge, Colin Moulding, Terry Chambers and Barry Andrews. Andrews left in early 1979 to be replaced by Dave Gregory. Early XTC were all jerky rhythms; much more experimental and punky than the later post-Andrews band, which became poppier. By the time I saw them at Newcastle Mayfair on 21st September 1979 XTC had entered the single charts with the excellent “Life Begins at the Hop” and had just released their new single, the classic “Making Plans for Nigel”. Support came from the Yachts. 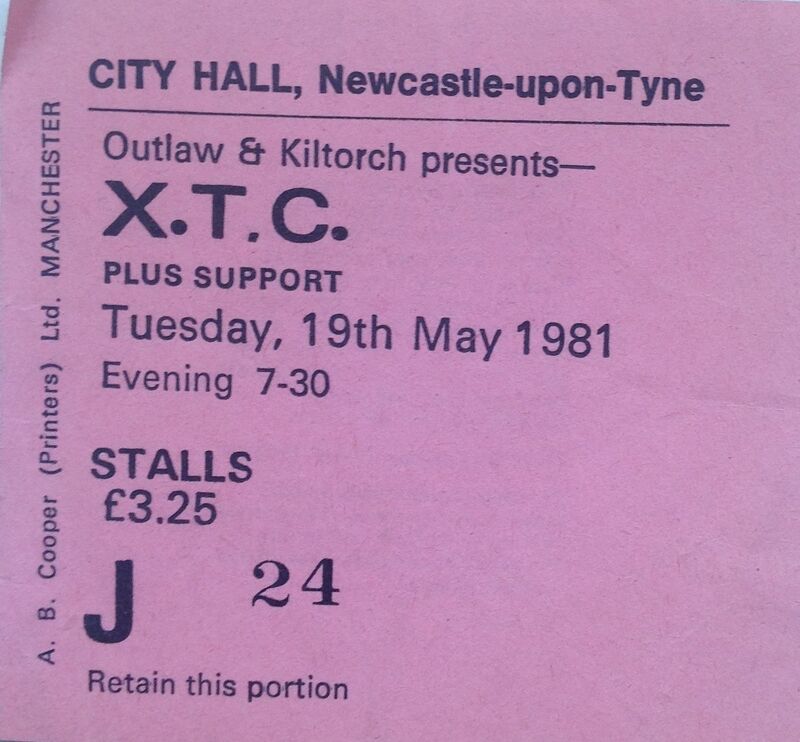 I saw XTC once more before they quit touring, at a concert at Newcastle City Hall on 19th May 1981. They had just been in the singles chart with “Sgt. Rock (Is Going to Help Me)”, another classic pop tune. Support at the City Hall came from Last Touch. “Senses Working Overtime” was XTC’s last Top 10 hit in 1982. After that they became a studio band of Andy Partridge and session musicians. A great pop band who have been hugely influential. You can hear XTC in Franz Ferdinand, Kaiser Chiefs and many other guitar-oriented jerky pop bands. Setlist (something like): Real by Reel; Life Begins at the Hop; When You’re Near Me I Have Difficulty; Respectable Street; Sgt. Rock (Is Going to Help Me); Snowman; Paper and Iron (Notes and Coins); Ball and Chain; Love at First Sight; No Language in Our Lungs; Scissor Man; Towers of London; Burning With Optimism’s Flames; Making Plans for Nigel; Living Through Another Cuba; Generals and Majors; Helicopter; Are You Receiving Me?.